Yesterday after spending a few days feeling really crappy post dog bite (the tetanus shot triple threat combined with horse pill sized antibiotics as a precaution are not so much fun) I finally went out into the garden for a little bit. A dear friend gave me three tree peonies I had to get into the ground, and I needed to dead head and prune roses. I also cleared out some of the remains of perennials that had died back, and hard pruned my Nippon daisies and butterfly bush. As I looked around at the beech and oak and other trees which are still hanging onto some final golden, red and brown leaves, the sky and earth just had that look. The look of goodnight garden until next spring. 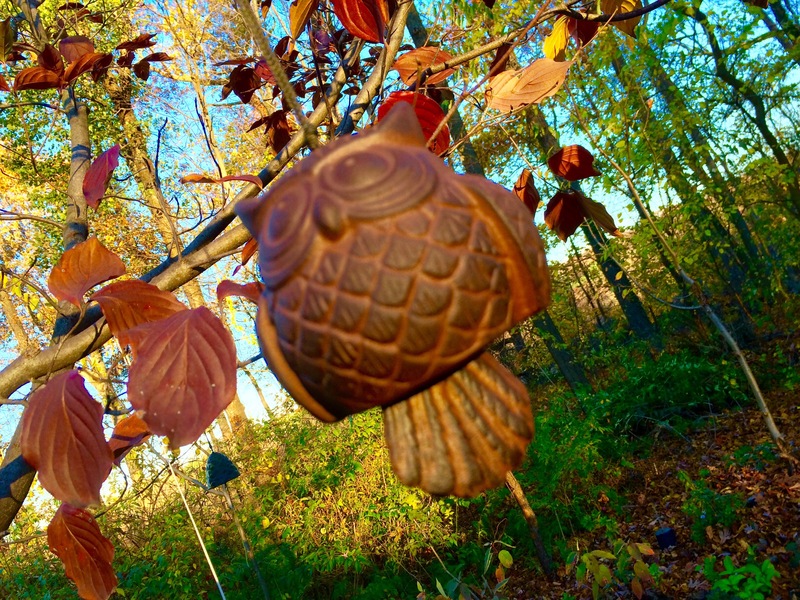 This entry was posted in gardening, home front, life and tagged fall, garden by carla. Bookmark the permalink.